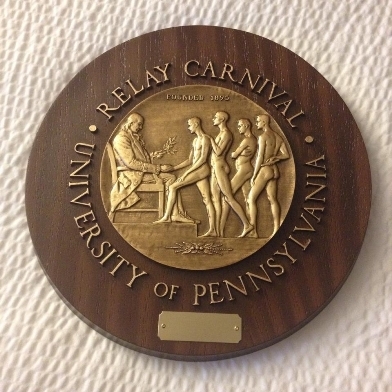 Our final Penn Relay story comes from Laurenmaria “Nell” Smith. 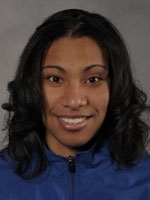 Nell fell in love with the Relays back in 2007, when she first raced there as a senior in high school. 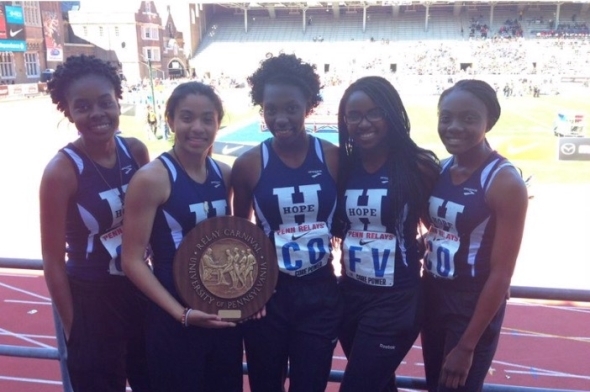 She’s been able to return to the meet through her collegiate years at Wheaton College, and now as a coach for her alma mater, Hope High School in Providence, RI. She will be attending the Relays again this year as a coach as her sprinting teams will compete in the HSG 4×100 and 4×400 relays (Events #107 and 137, respectively). The air is cool. We have been standing in the paddock for what seems a lifetime. A girl wearing a red and white uniform nervously asks the official to repeat the starting instructions. I listen — too timid to ask the official myself. The heat before us has finished and we are swiftly positioned on the curved starting line. The red and blue baton feels heavy in my hand. I tighten my grasp and take a deep breath. The gun goes off. “You have to be aggressive and go, you can’t wait around,” my coach tells me before the race. So I eagerly try to separate from the pack of 12 and beat everyone to the back straightaway. The first 50 meters is arduous. Ten meters into the race a girl throws her elbow into my side. Five meters later someone behind me clips my heel — but I don’t stumble. I keep running. After the first 100 meters, I settle into my own 400 meter rhythm and try to stay close to the two leaders in front of me. At the 150 meter mark, I can hear my coach tell me to shift gears. In a stadium filled with nearly 50,000 people, I can hear his voice clear. “Move now! Go to your arms,” he yells. With 100 meters to go, I tuck my head down and pump my arms faster. The gap is closing. “WHOOOP WHOOOOP” the crowd chants as I move to the outside of the lane to pass the two girls who have been leading the race since the 200 meter mark. My teammate is calling me in. I move into first, pass the baton, and quickly run to the infield to watch my team duke it out in the high school girls’ 4×400 meter relay. In my first appearance at the annual Penn Relays in 2007, I competed in the 4×100 and 4×400 meter relays. The University of Pennsylvania’s Franklin Field was the largest stage I had ever competed on and I was reminded of its enormity with each glance around the stadium and the maze of people that wrapped around the stadium’s entrances. That year, over 15,000 athletes competed at the meet and over 50 countries were represented in over 110 events. A mixture of music and chatter lingered throughout the stadium and a colorful sea of spectators filled the seats. Team Jamaica fans waved black, green and yellow flags in the air and stood with cowbells in hand, ready to cheer on any Jamaican team competing in the relay carnival. Comedian and Philadelphia native, Bill Cosby, served as an honorary starter and stood on the infield to watch the competition unfold. Professional athletes sat at tables signing autographs and posing for pictures. The Nike tent was set up with all sorts of collectable gear and a station for hair braiding. An AT&T picture booth was nestled between a bean bag toss game station and table stacked with event programs. Almost every year that has followed my Penn Relays debut, I have returned to Franklin Field to participate in the long-standing history of the oldest and largest track and field competition in the country. Three years ago, my position changed and it was my voice that rang loud at the 150 meter mark of the track — as a coach. As we prepared to leave for Penn Relays I couldn’t help but get excited for the unforgettable experience and lasting memories my athletes were going to create in four short days. Though I tried to paint a vivid description of the meet, I realized it was best to let my athletes sketch their own portraits instead. “Coach, I can’t even believe this place! This is even better than I imagined,” said one of my juniors. “Wait, we get to run on that track? In front of all these people?” asked another athlete in disbelief. After my quartet of girls finished warming up ,we made our five minute trek to the holding area. Trainers, warm-up suits and half-empty water bottles were thrown into a large black trash bag for safe keeping, while they awaited the start of their race. In just a short while, they would take the track in the high school girls’ 4×400 meter relay, with the hope of winning their heat and walking away with an 18 inch wheel. At the 150 meter mark, I anxiously wait for the race to begin. The gun goes off. My first leg runner is positioned on the outside of the curve. The waterfall start allows athletes to cut in as soon as the gun goes off, but I tell her to be patient. On the back straightaway she makes her first move, gradually settling in the inside lane. We are in first place. “Finish the race! Use your arms,” I yell from the stands. She listens. At the second exchange, we fade into second. On the final turn my runner gets boxed-in. “Outside! Move outside,” I instruct my sophomore athlete. The third exchange is smooth. Twenty meters into the race the third leg makes up ground on the two girls out front. Our anchor leg trails the leader by 20 meters. She makes her move on the back stretch. The stadium erupts into a “WHOOOP WHOOOOP” shout as my anchor leg passes the girl in front with 100 meters left in the race. This entry was posted on Monday, April 20th, 2015 at 6:00 pm. It is filed under Penn Relays, Spotlight. You can follow any responses to this entry through the RSS 2.0 feed.